Tired of traditions? Don’t want to have a traditional red, green and white Christmas? Then take all the colors you want to decorate the house and the table! Make a colorful table setting: purple, green, blue, pink, a patterned colorful tablecloth and napkins. 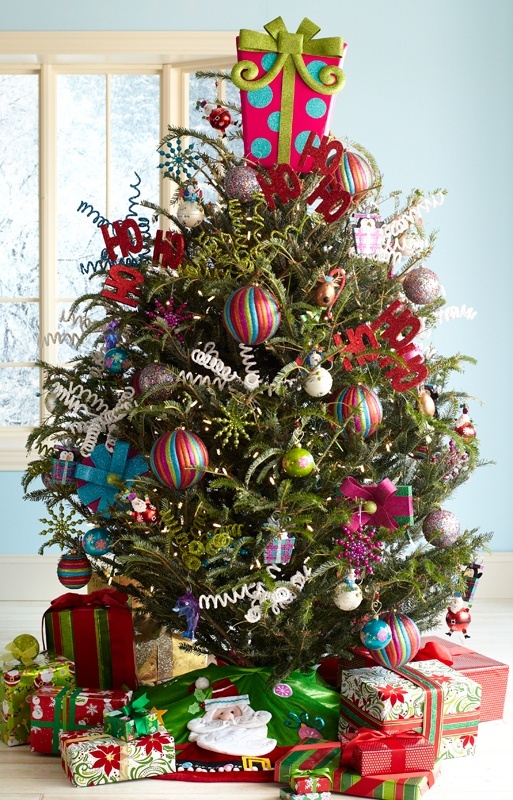 Pink Christmas tree is an interesting idea but if you like something more colorful, take juicy ornaments and garlands.